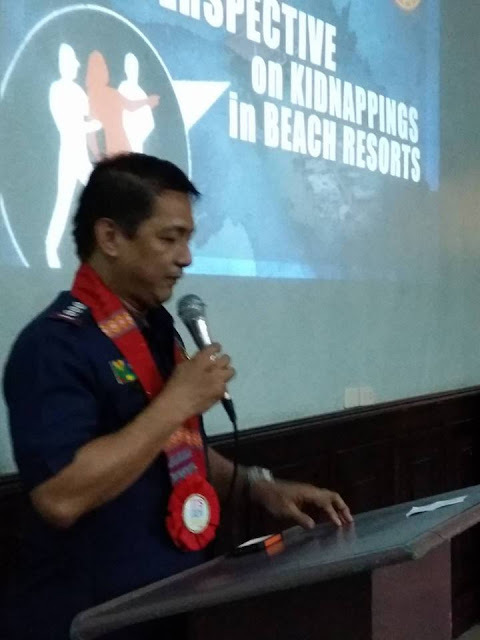 Those are the words of Pssupt Orlando O. Yebra , Jr., Chief , Information, Education and Family Liaison Division (IEFLD), PNP-Anti -Kidnapping Group, during the recently concluded "Seminar on Community Security Awareness and Action on Anti-Kidnapping" in General Santos City. The activity , which aims to equip the participants with a firm grasp and better understanding of the Kidnap-for-Ransom Situation in the region, was well attended by local businessmen, private individuals and representatives from different Barangays of the Tuna City. 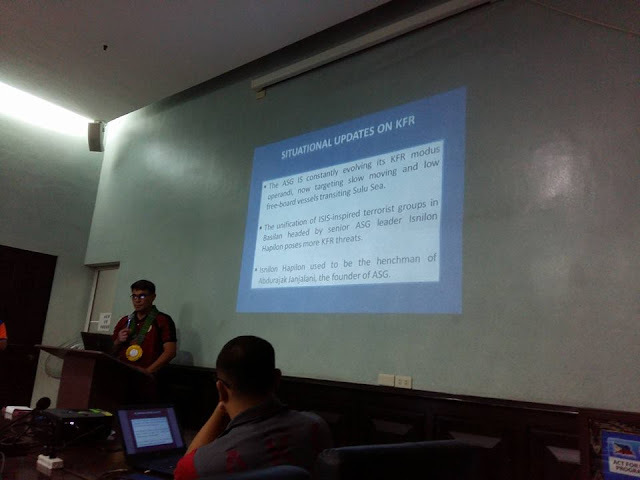 Psupt Arthur L. Valdez, OIC, Mindanao Field Unit, PNP-AKG, provided comprehensive situational update on Kidnap for Ransom and walked the participants through different KFR Modus Operandi. 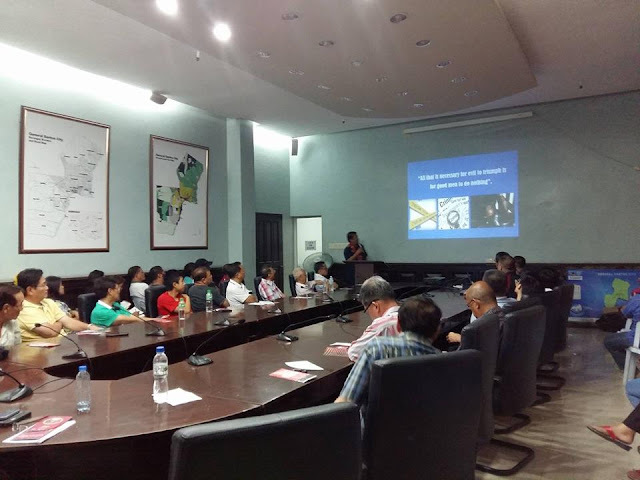 Pssupt Yebra, Guest Speaker for the day, shared to everyone a secret on how to strengthen a community's campaign against criminal activities : "COMMUNITY AWARENESS IS VITAL" saying the citizens' participation in preventing criminal activities is important. He also lectured on preventive tips, detection of kidnappers/suspicious persons, detecting safe houses and explained the advantages and disadvantages of reporting related incidents to Police Authorities. Yebra also added that for any crime to happen, there are three elements that must be present at the same time and place: 1. 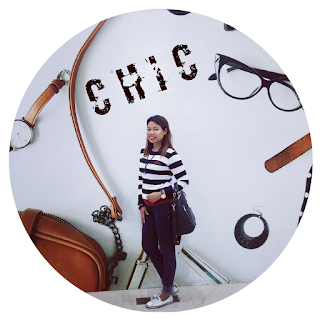 Motive 2. Instrumentality and 3. Opportunity. 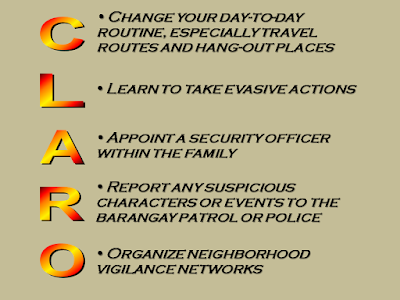 DON'T FALL VICTIM TO KIDNAPPERS!Remember CLARO! Participants were given the opportunity to ask questions from our Guest Speakers and a Rogues' Gallery was viewed urging the people in the room to report any familiar face from the gallery. 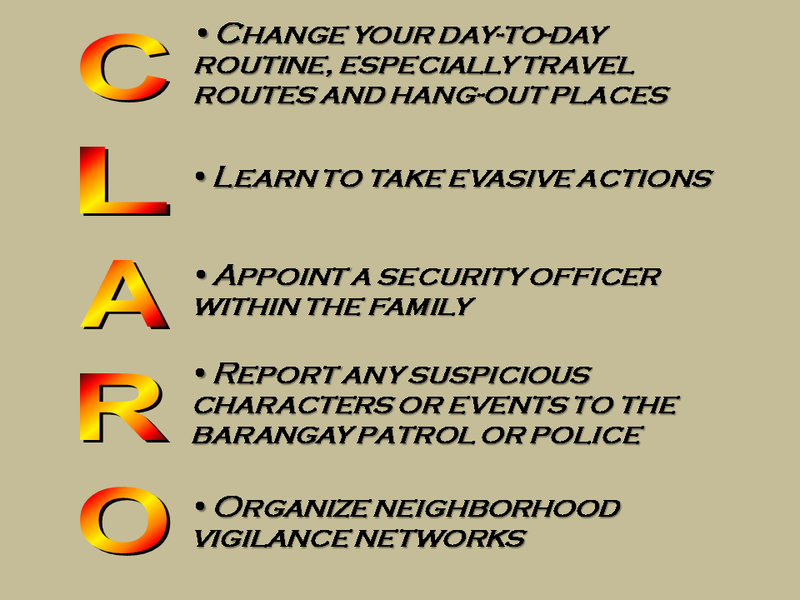 While our Guest Chief announced that participants may ask for his and his team's mobile numbers and PNP Hotlines, we sure hope that there won't be a need to communicate with the kind team for KFR purposes! 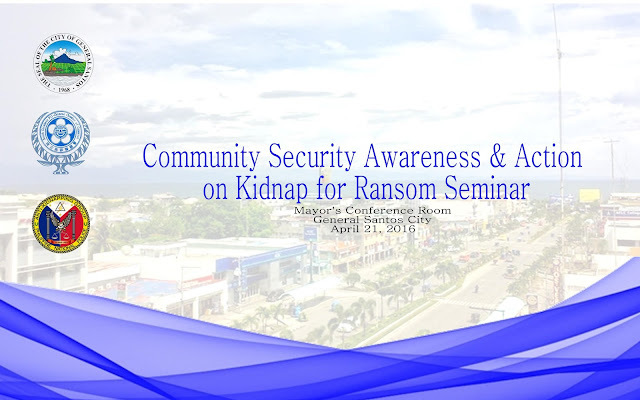 This event is made possible through the concerted effort of the South Cotabato Filipino-Chinese Chamber of Commerce inc. (SCFCCCI) , the Local Government of General Santos City and the PNP-Anti-Kidnapping Group. The PNP-AKG with the officers and BOD of South Cotabato Filipino-Chinese Chamber of Commerce Inc.
Mission:The AKG shall conduct police operations and investigation on kidnapping and hostage situations with the active support of the community.